Active Life Store is an authorized retailer! This item is 100% BRAND NEW with tags in package/box! 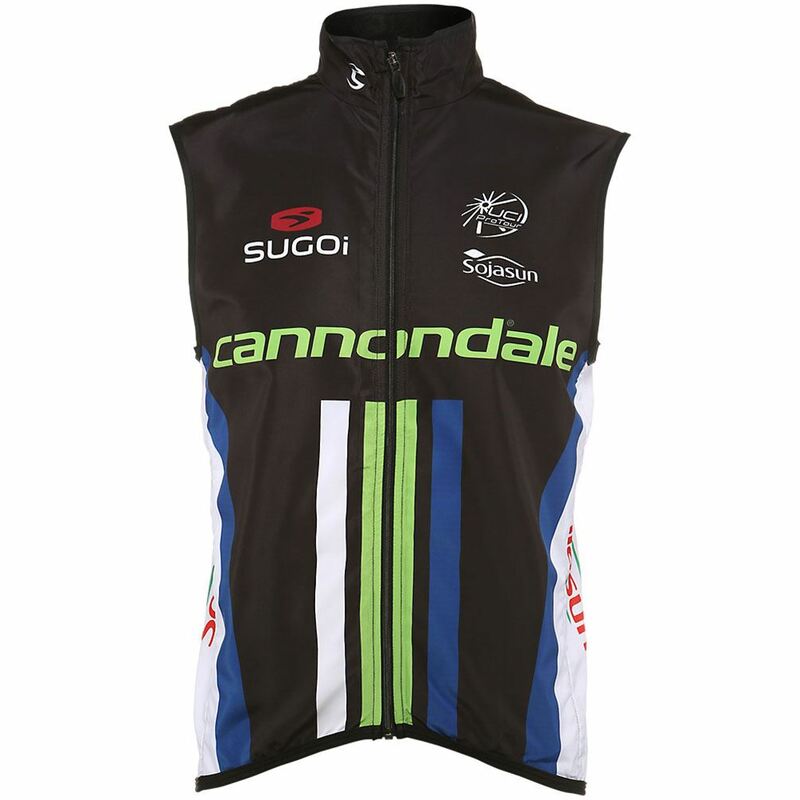 2014 Sugoi Cannondale Pro Team Pro Vest. 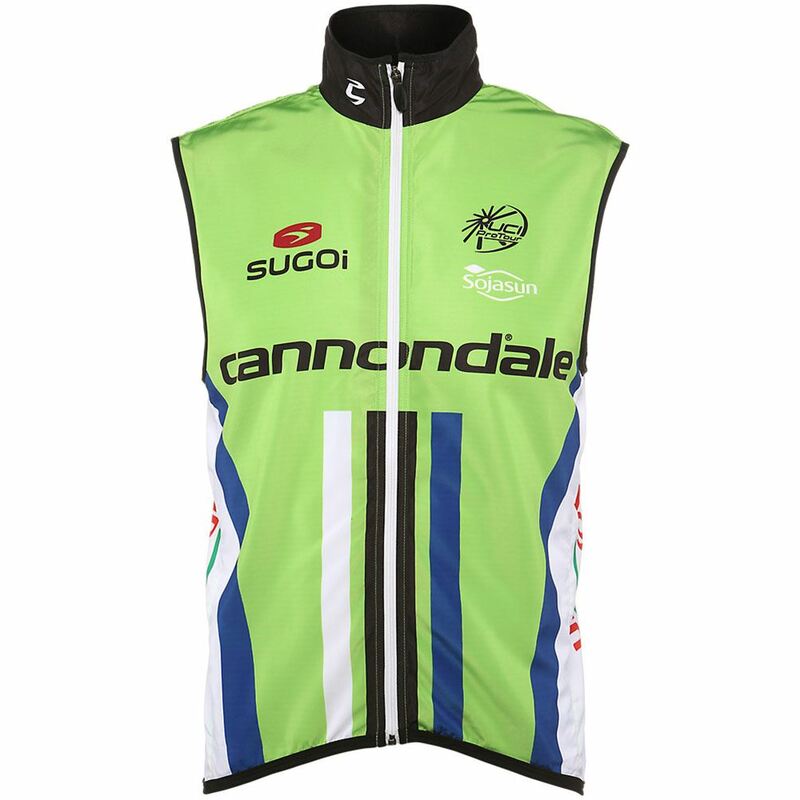 The Cannondale Pro Team line offers a design and fabric concept that enables avid cyclists to experience the same elite product worn by the world's top riders during the 2014 season. To ensure apparel of the highest standard, Sugoi worked closely with the Cannondale Pro Cycling team to test and develop the full kit reflective of the quality, comfort and style that world champion cyclists rely on and are proud to wear for consumers. Why buy from Active Life Store? Communication: The #1 priority of Active Life Store is to ensure our customers are 100% satisfied with their purchase. If you have any questions or concerns, please do not hesitate to contact us via phone at 661-607-0270 Monday - Friday 8:00am - 5:00pm (PST) or e-mail us using the contact seller button through ebay. Postage: We partner with a World Class Fulfillment Network and our inventory is warehoused across the US. Please view the item's shipping tab via eBay to view details on how long delivery will take for your location. For your convenience, we also provide the choice of expedited shipping for most items. Please select the delivery method at the time of check-out. Payments: The only method we currently accept is PayPal. Returns: We guarantee that your item will arrive exactly as described because our products are brand new, unopened and in the authentic manufacture original packaging (unless otherwise specified). Please notify us within 7 days of receipt if your item is defective or if you have any other issue with the product. We will work to resolve these issues promptly. If you are not satisfied with your purchase, we will accept returns for unused items (with the original packaging, seals not broken and tags still on the item) within 14 days of purchase and the eBay Buyer will be responsible for the return shipping. The item must be shipped back to us in a box to ensure the original packaging does not get damaged. For a Return Authorization, please email by using the contact us button through ebay or call 661-607-0270 Monday - Friday 8:00am - 5:00pm (PST). Warranty: Active Life Store is an authorized retailer for all items that we sell. That means that you purchase is covered under the manufacturer’s warranty. Due to the large number of brands that we carry, we suggest you look on the brands website for warranty information. For all warranty claims, please contact the brand directly. Check out our fully stocked eBay Store!